After hearing rumors of a Rice University/Baylor College of Medicine merger, the Backpage considers advantages and disadvantages of other possible corporate mergers. This article and layout are the submission my partner and I made as part of our application to be the next year's Backpage editors. The editors at the time were thrilled, and asked us to print it in the next issue of the Thresher. 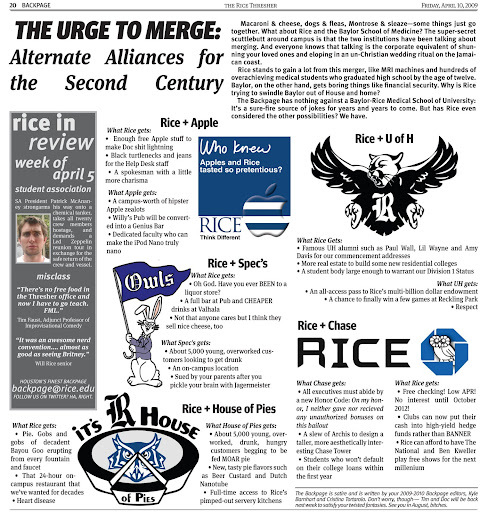 Our first attempt at Rice-centric satire!